UPSEE Counselling 2018: Dr. A.P.J. Abdul Kalam Technical University is expected to announce the UPSEE result in the 1st week of June 2018. After this, they will also release answer key and rank list. After all of these, the UPSEE counseling 2018 Procedure will be started. UPSEE Counselling 2018 (AKTU/UPTU) is expected to start in the 3rd week of June 2018. It will be conducted for providing admission to the UG & PG courses in engineering, management, etc fields. 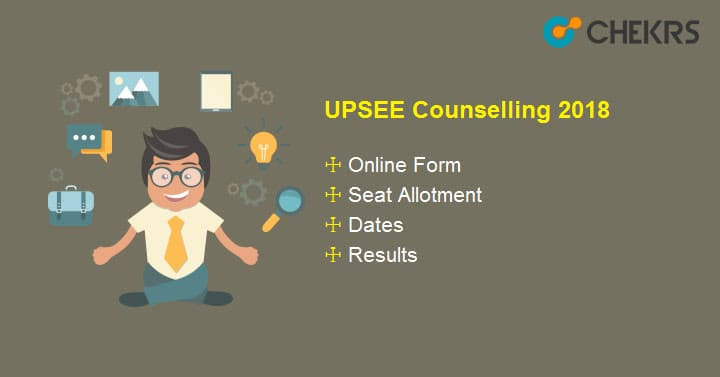 we are providing you all the expected or known details of UPSEE counselling which will help you to stay up-to-date. Here is the list of upcoming Events of UPSEE counselling 2018.These all details will be confirmed after the official notification. There will be two rounds in counselling procedure. The complete counselling procedure will be held from 3rd week of June to the 2nd week on July. The Complete UPSEE Counselling (AKTU/ UPTU) will have many parts or round. Qualified candidates who passed the UPSEE exam have to go through these parts one by one. We are also providing you the details of each and every part of the Counselling. All the qualified candidates have to register their self for counseling. They can register their self by logging in to the official website. In this registration, process candidates have to pay a counselling fee through online mode. UPSEE Counselling fee will be Rs. 20000/-. For SC/ST category the counseling fee will be Rs. 12000/-. After completing the Online registration, candidates also have to upload the scanned copy of all documents. Make sure that only images with maximum 200 KB will be allowed. After uploading, candidate’s documents will be verified by the university. After successfully pass above two rounds/part the “Choice Filling & Locking” link will be available just after the login page. Qualified candidates have to fill their choices of college and courses as per their preferences. Make sure to fill the maximum number of choices lock the filled choices in a specified period. After the specified period, your choice will be automatically locked. After successfully passing the above procedures Candidates have to check and download the UPSEE seat allotment result by entering their Application Number and Password on the official website. The seat will be allotted on the basis of UPSEE merit, availability of seats, choice of course and college. In this part/round, candidates will also have to select one from three options to confirm seat allotment. Freeze: if you are satisfied. Flot: if you want to hold the allotted seat but still requesting for any possible up-gradation. Withdrawal: If you don’t want to participate in any further admission process. After completion of all the previous counselling process, Candidates have to report at the allotted college in between given time period, with a provisional allotment letter. The full counselling fee will be also adjusted against the Institution fee. If any institution fee will be remaining after this adjustment then candidates have to bring the remaining fee, original documents, and self-attested documents to confirm the seat allotment and admission. Congratulations to all the qualified candidates, you grabbed a good opportunity to get admission in the UG & PG courses in the field of engineering, management, etc. Do your best and make a bright future.